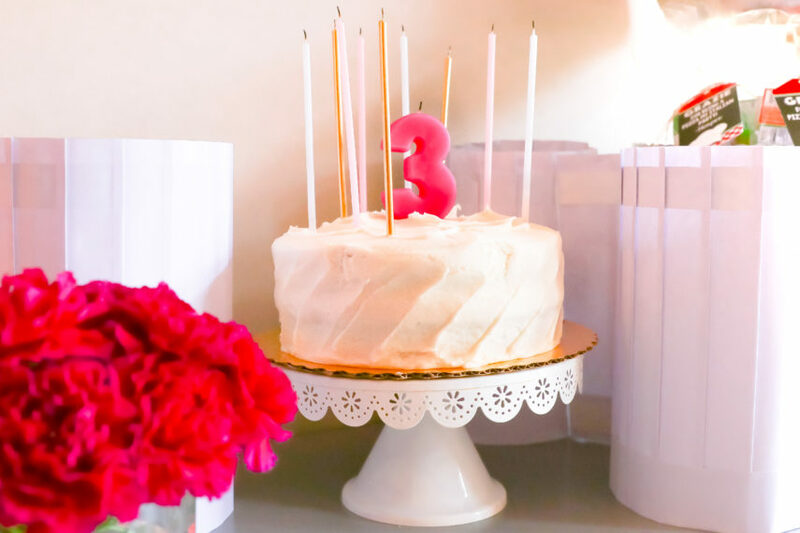 I’m sure you’re thinking that I’m nuts for throwing a birthday party for my 3 year old and her 12 toddler friends when my family is still adjusting to life with our newest member, our 3 month old newborn. If those weren’t your thoughts, thank you, but I can admit that I was thinking it. Because of these circumstances, I had to pull together a birthday party in less than two days. I’ll give you a rundown of how it all came together, then you’ll see a recap of the steps that I took towards the end. 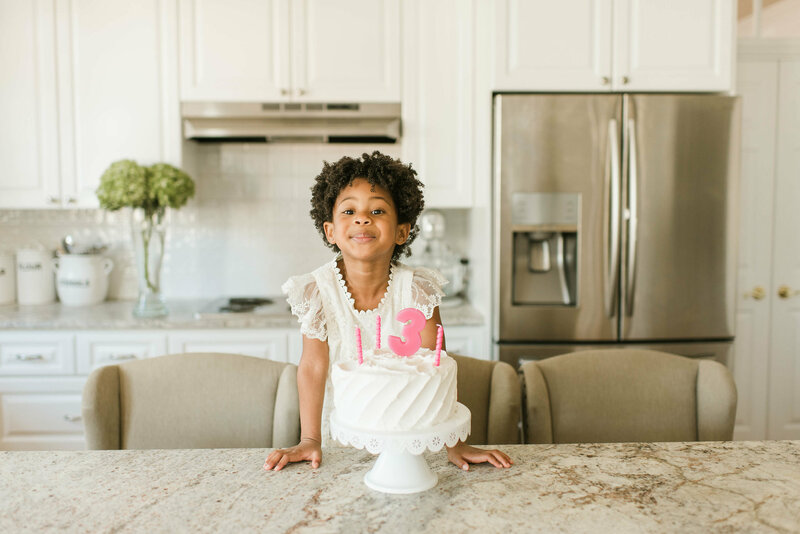 My daughter Harper recently turned three and I wanted to give her a celebration no matter what. If she could eat spaghetti and pizza every day of her life, I think that she would. 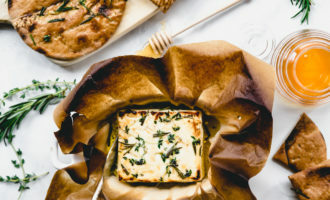 So, I wanted to embrace her favorite cuisine and give her an Italian celebration. 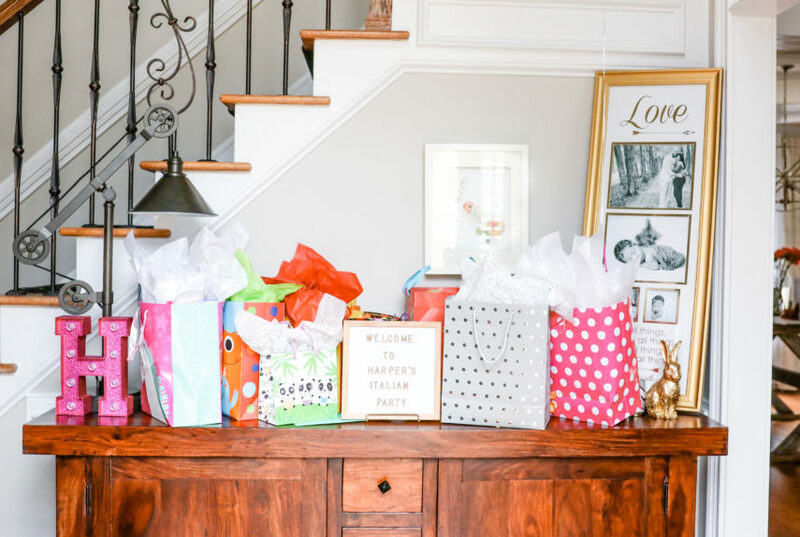 In the last few months our friends and family have done so much for us (regarding having a new baby), that I wanted the whole family of our young guest to enjoy the celebration. So, I decided to make the party family style verses just for kids. 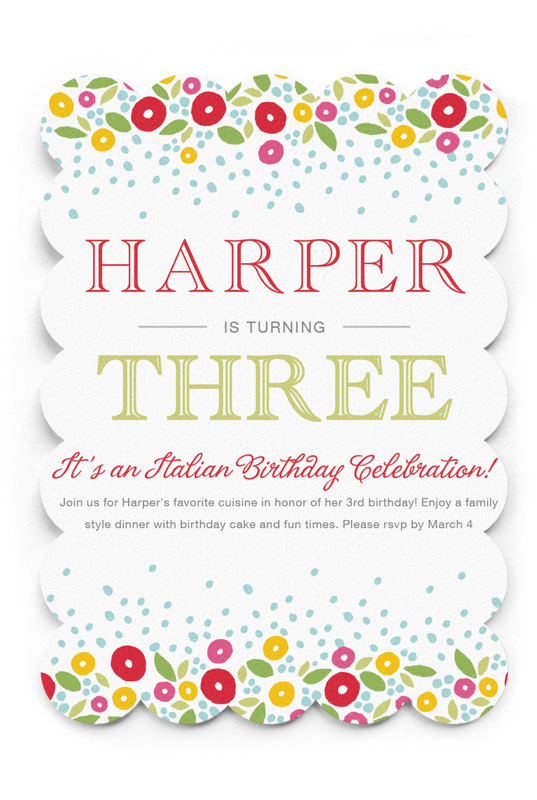 Luckily, Minted has a new online invitation feature with beautiful modern designs and presentations. 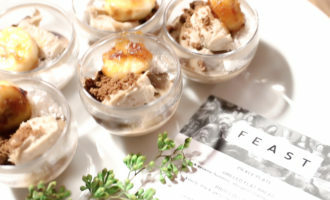 It has a variety of options to cover any event that you plan to host and it’s easy to set up. I used their service to quickly make an invite that I could email to her guest list. 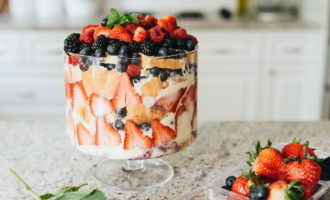 It came out beautiful and set the tone of the party. In making this decision, I quickly learned that I may have been a little in over my head. I had this grand production in my mind and planned to prepare weeks in advance as I usually do but, it just didn’t work out that way. Life, work, and sleep deprivation crept in, and the next thing I knew there were only three days left and I still didn’t get started. So, I quickly sprung into action and got everything together. When throwing a party I always make sure to have a climax to the event, then I work around that. I knew with this party, that the climax would be the kids making their own pizzas. Knowing that the activity would be a highlight for the kids, that’s where I chose to focus my energy. 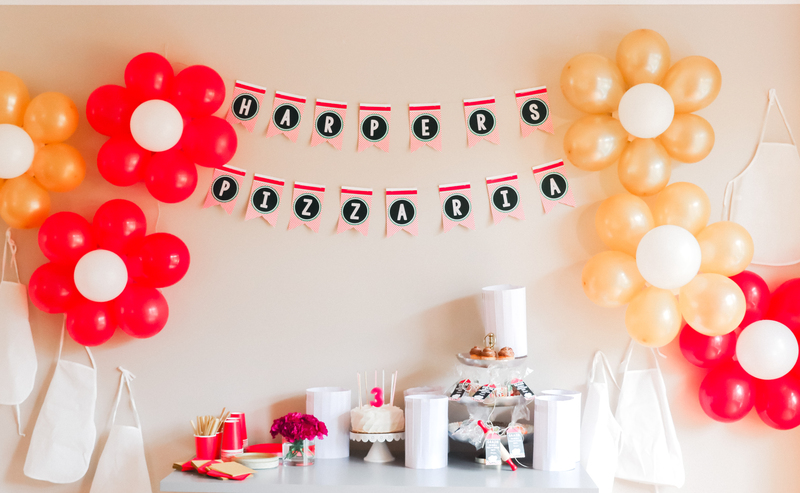 Since they would be making pizzas, I decided to create Harper’s Pizzeria. 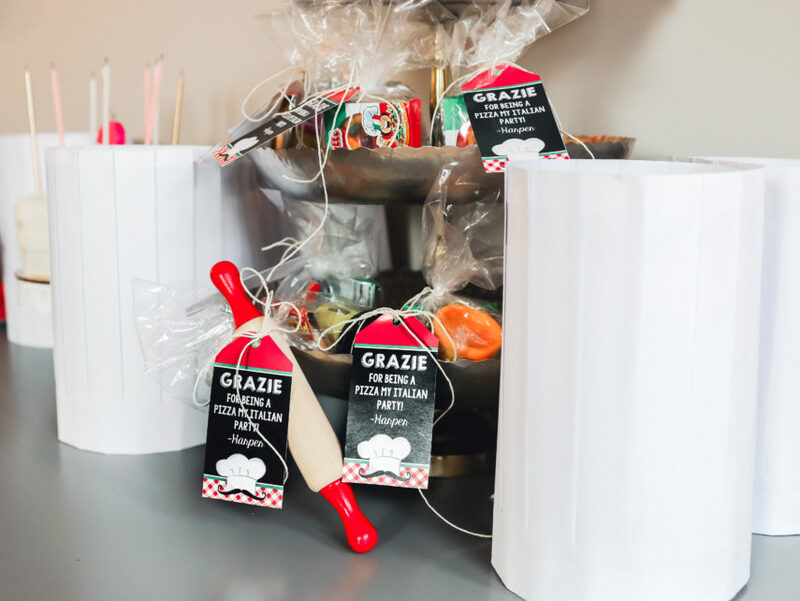 We had 12 little chefs on their way, and they needed proper attire to cook in the pizzaria, so all of the kids received aprons and chef hats that was overnight shipped from Oriental Trading. 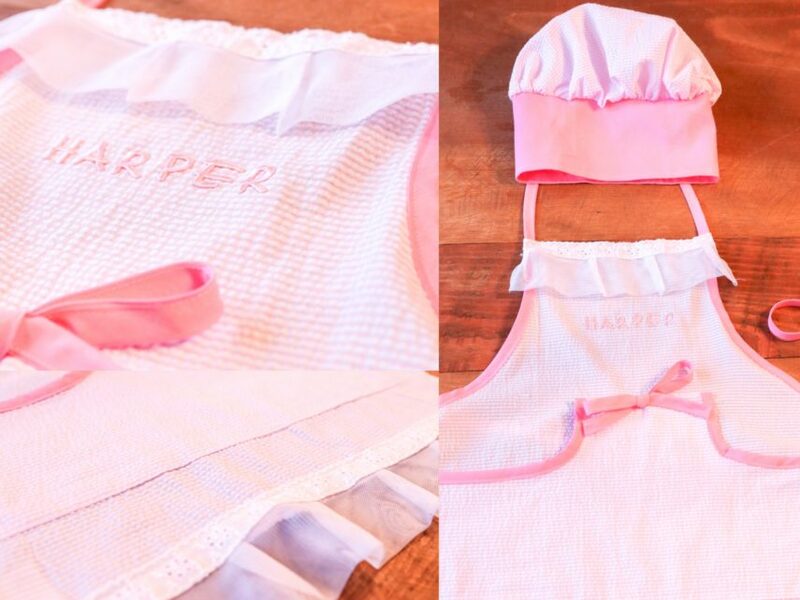 For the birthday girl, I wanted to have an apron and hat that was a little more special and personalized so, I reached out to my friend at The Pinafore Place to see if she could make Harper’s apron. After agreeing, she had me choose the fabric and then she not only had one, but two apron sets ready for pick up the next day! 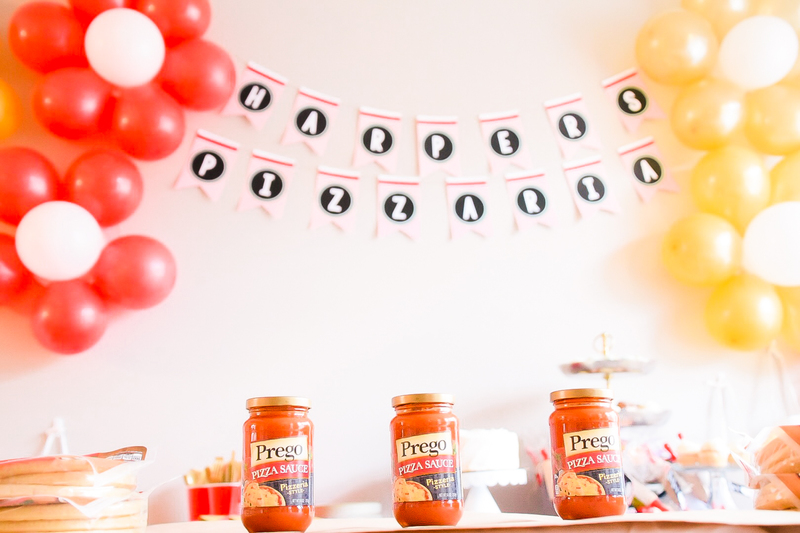 Everyone received a small pizza crust that they topped with Prego Pizza Sauce, an array of toppings, and of course lots and lots of cheese. 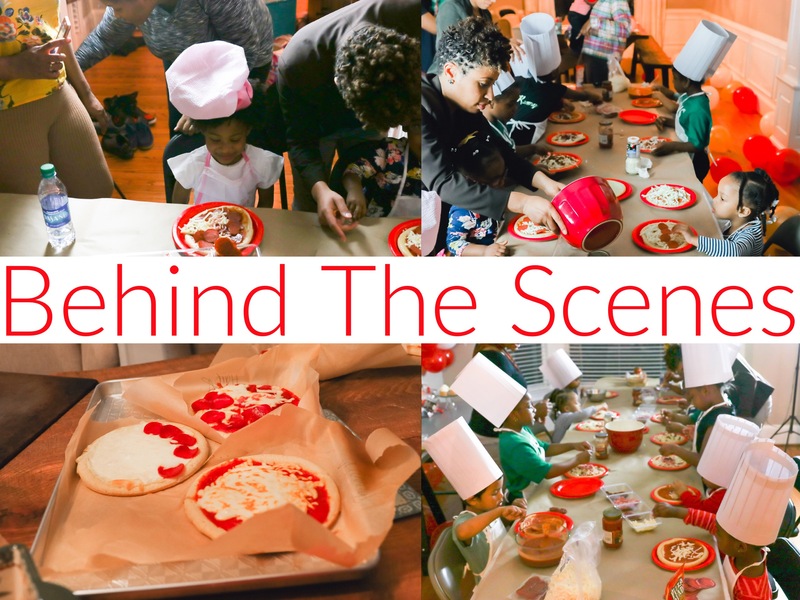 It was so adorable watching the kids make their pizza. They all took their creations very serious which I’m sure made their pizza’s extra delicious. 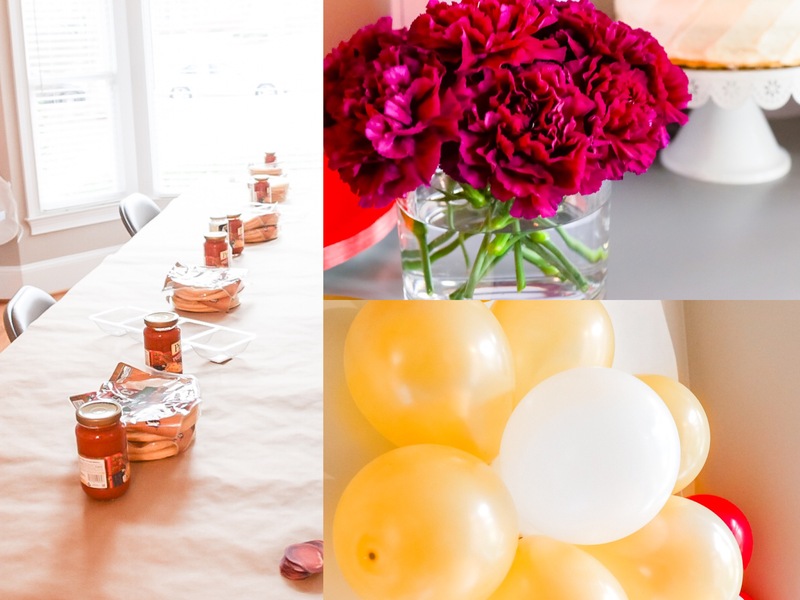 Lastly, what is a party without decorations, games, and favors? 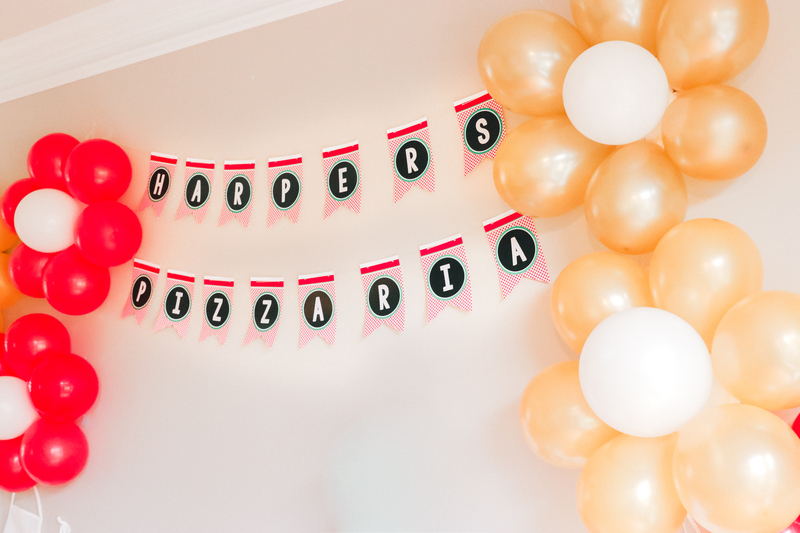 Thinking back, it is absolutely hilarious what I had in my mind about the type of decorations I wanted to make for the party. When it came down to the wire, I really didn’t have the time to create an elaborate display. 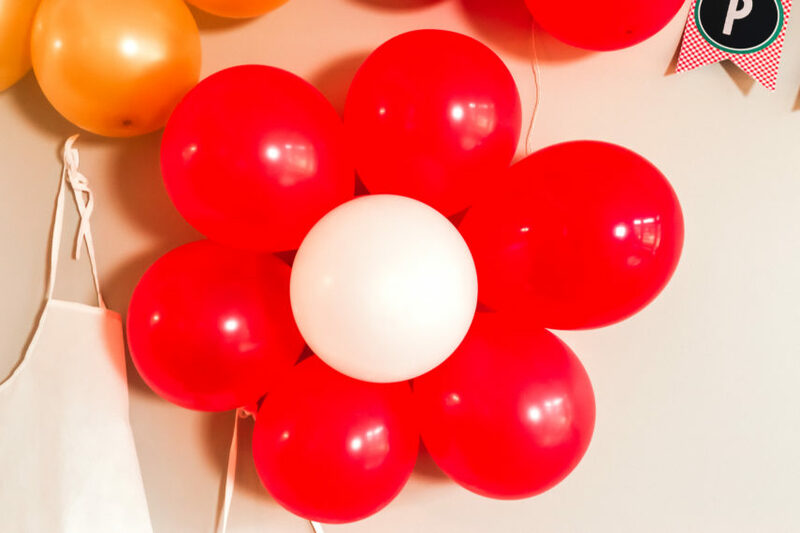 So, I pulled out an old trick and made flower balloons which I accompanied with a few fresh flower displays. This was conveniently appropriate because Harper’s birthday falls on National Plant a Flower Day. I also made sure that there were tons of balloons everywhere for the kids to enjoy. As far as games and favors are concerned, a cute Etsy Shop came to the rescue. 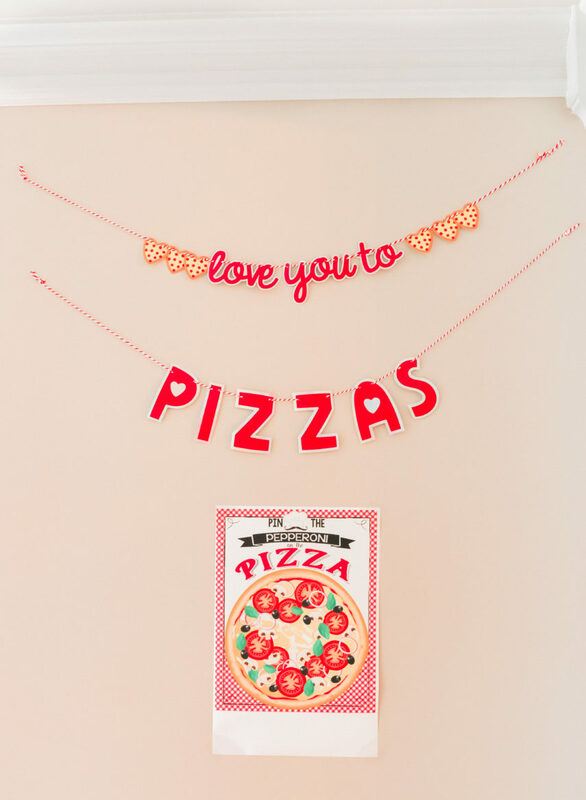 I found instant download pizza party items that could be personalize and it helped to bring everything together. After the cake, gift table, and of course a Felt Like Sharing welcome sign, we were ready to get the party started! The kids and parents were full and happy, and most important the birthday girl was happy and exhausted from a day of fun in her honor. 1. Identify your climax and work around that. 2. 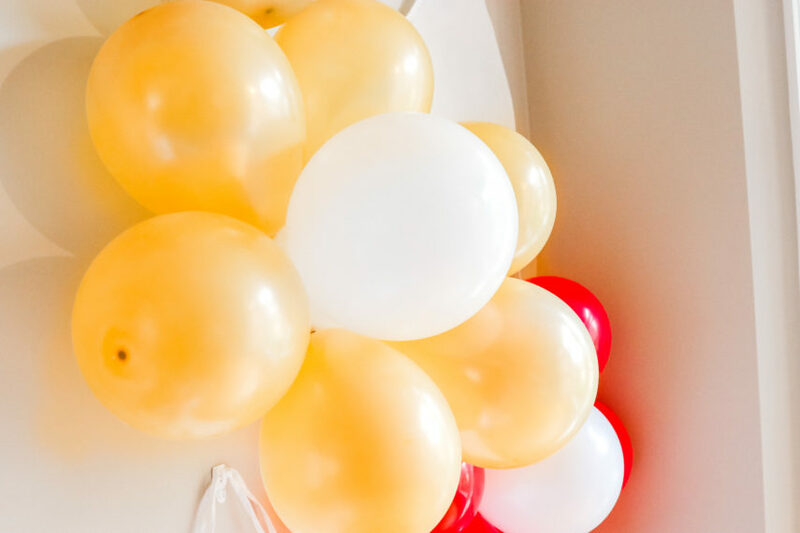 Use an online invitation service that’s sophisticated, sets the mood of the party, and delivers your invite in a presentation. 3. Use online resources that offer overnight turnaround, if not sooner. 4. 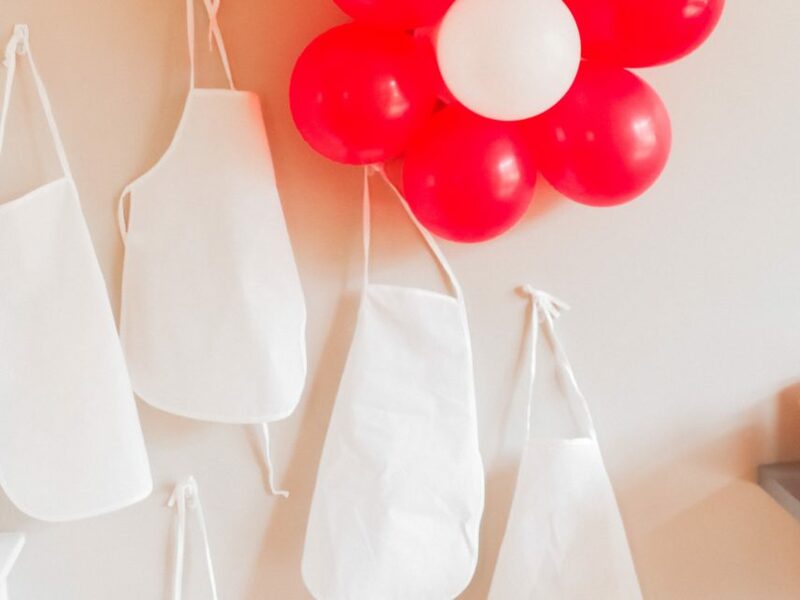 Keep decor, games, and party accessories clean, simple and easy. 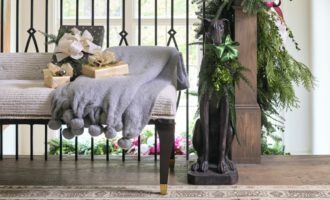 Use what you have for decor and find personalized instant downloads that can be used for personal touches.